Creates softer, cleaner spa water. Each unit contains minerals known to control bacteria. Can be used with chlorine or bromine and is ideal for use with non-chlorine shock oxidizers. 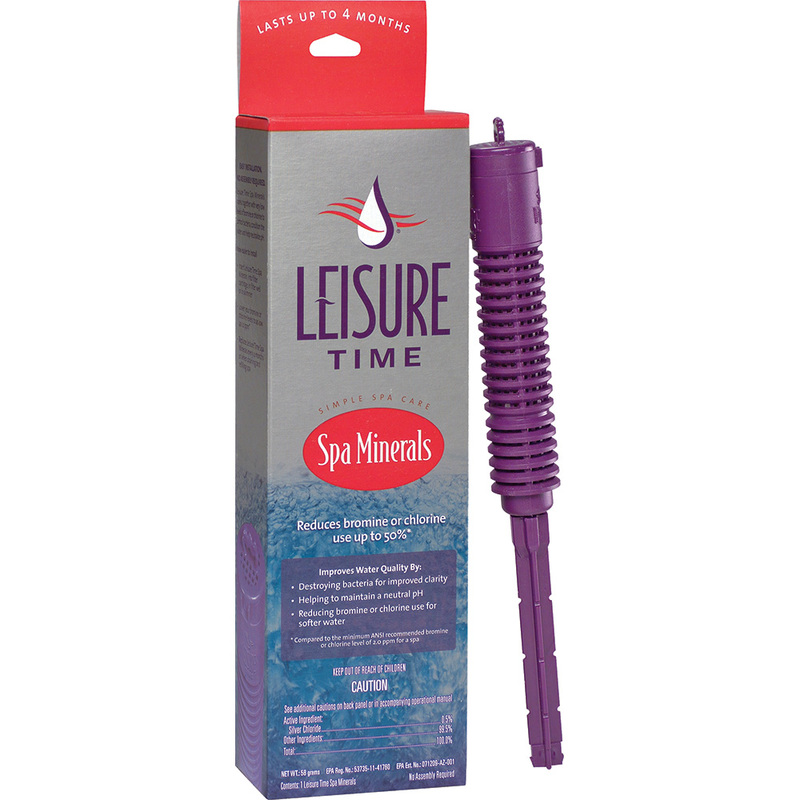 When used with a minimal amount of sanitizer, Spa Minerals will provide clear water for up to four months! 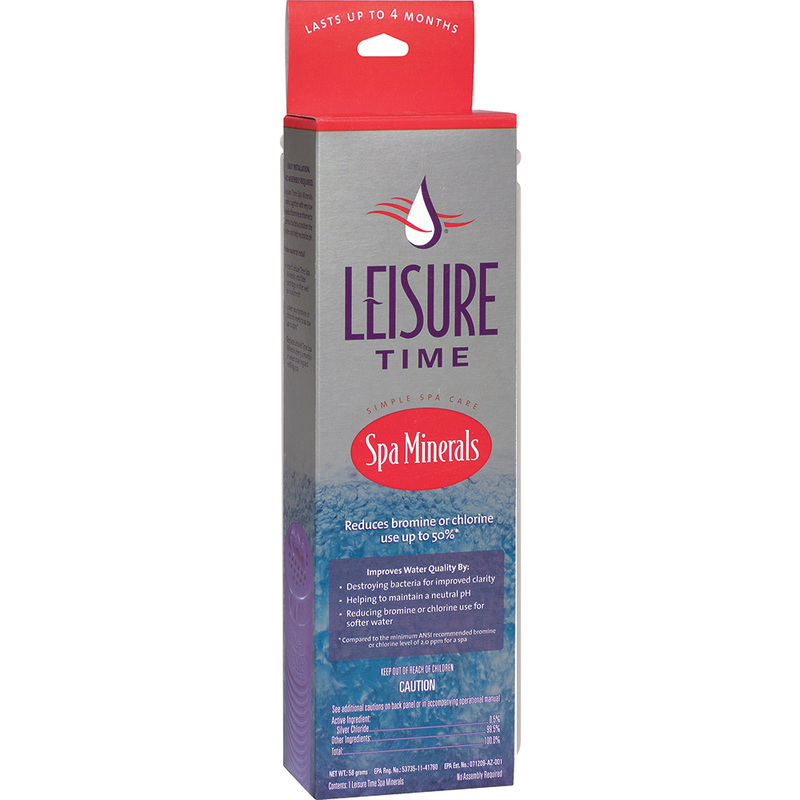 Replace Leisure Time® Spa Minerals after 4 months or when draining and refilling spa with fresh water.